John Casey explores woods and stories. The “just life” part includes his three marriages and four daughters. The rest of Casey’s trifecta shines in a pair of new books. Room for Improvement: A Life in Sport describes the wild outdoor adventures he has pursued across more than 50 years as an “adrenaline junkie.” Beyond the First Draft: The Art of Fiction is crammed with stories and ruminations on creative writing, a subject Casey (johndcasey.com) has taught at the University of Virginia since 1972. 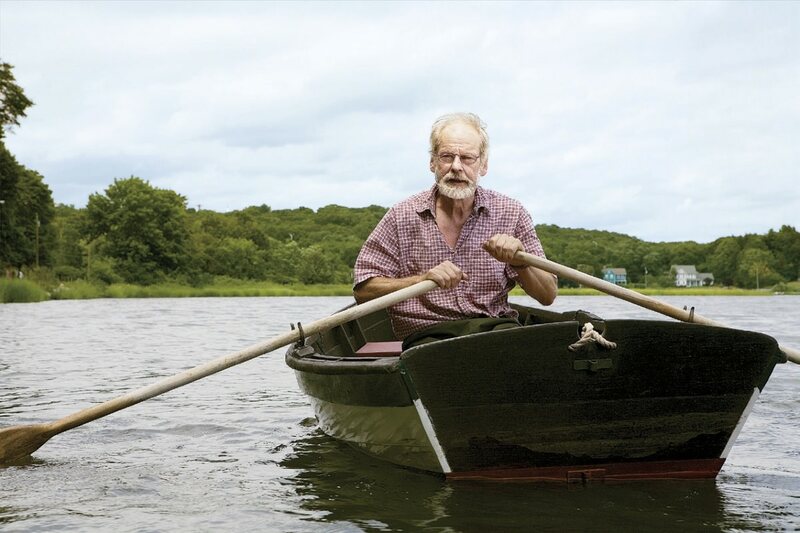 He knows the craft intimately, having published five novels, including Spartina, a summer saga of a coastal Rhode Island “swamp Yankee” and his adventures spearing swordfish, building a boat, and dealing with love, which won the 1989 National Book Award; one novella; and a raft of nonfiction that culminates in this year’s two-book salvo. In the dead of winter, the 38-year-old endured an 11-day Outward Bound course in Maine. Casey opens this particular narrative by advising the reader, when out skiing, snowshoeing, or walking in snow, to “look at the nearest snowdrift and consider how you would do if you had to spend the night in it.” After noting the obvious misgivings anyone would have—like freezing to death, or just feeling plumb miserable—he adds that in his own case, he didn’t think of asking himself, “Will it be, in its peculiar way, fun?” Sure enough, for him, it was. There have been more good days than bad at Casey’s desk during a prolific literary career. He started with a bang while at Iowa when the venerable William Maxwell bought three of his stories for The New Yorker. Beyond the First Draft narrates illustrative anecdotes and shares lessons gleaned from decades as a student and teacher of writing. He opens with the age-old question, “Can you teach someone to write?” and answers with two versions of “No,” both qualified: “No, but if someone is talented to begin with, I can save her a lot of time,” and “No, I can’t teach someone to write, but I can sometimes teach someone to rewrite.” Hence the title. Casey compares fiction to acting, something he did plenty of in college, where he concentrated in Russian history and literature. In both, “There’s the same link between being cooped up in yourself and being let loose on a stage as somebody else,” he explains. Nor are you cooped up in yourself all that much when cross-country skiing at daybreak in Sweden, mollifying a huge black bear while trout fishing in Pennsylvania, or goaltending for a Swiss school ice-hockey team—as no one but John Casey can tell you.